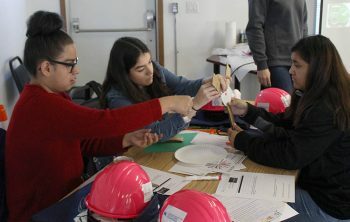 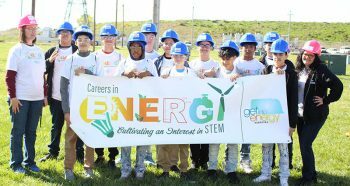 More than 175 students and school counselors got a firsthand look at careers in the energy industry last week. 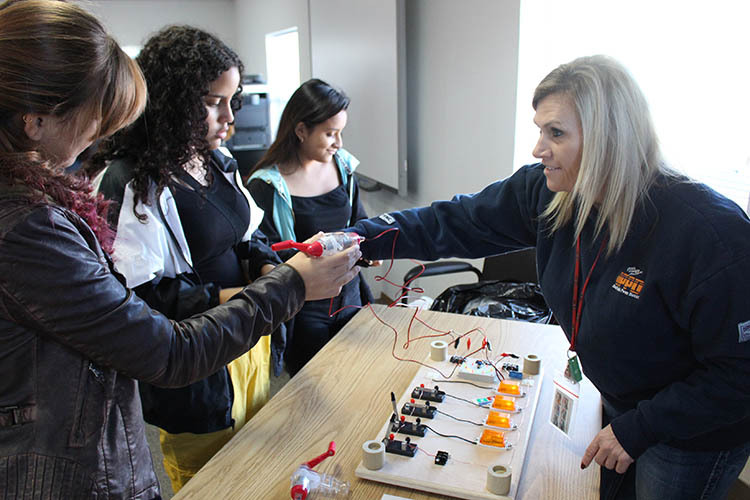 Careers in Energy was held Oct 15-17 at OPPD’s Elkhorn Service Center for the fifth consecutive year. 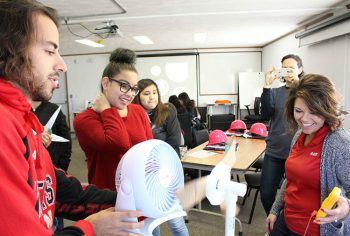 This marked the first year school counselors took part in the event. 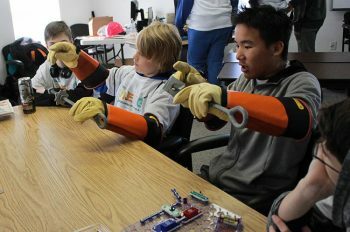 Students came from R.M. 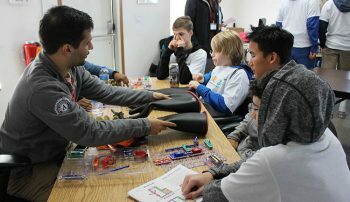 Marrs Magnet Middle School, as well as Papillion-La Vista and Omaha South, North, Northwest, and Blackburn high schools. 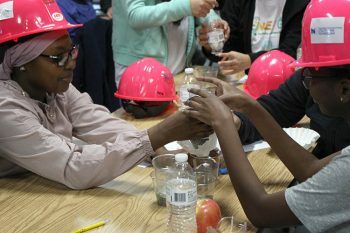 The students made a water filter with MUD and fused pvc pipes. 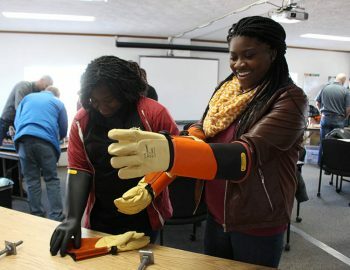 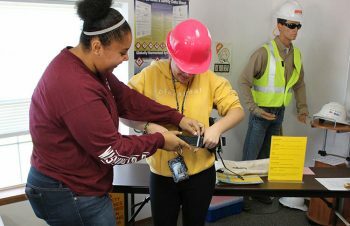 Students also saw a demonstration from OPPD line technicians, and other hands-on activities. 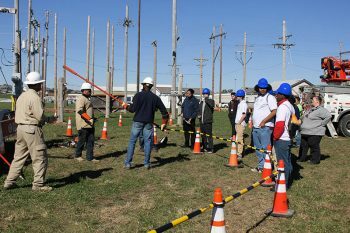 The event included OPPD representatives from Substation, Transportation and Transmission & Distribution. 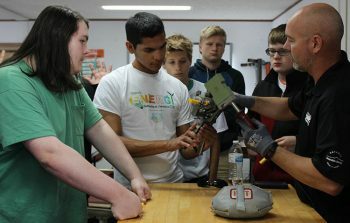 Representatives from the Nebraska Energy Workforce Consortium, comprised of Nebraska Public Power District, Lincoln Electric System, Metropolitan Utilities District, Black Hills Energy, Southeast Community College and Bellevue University, also attended. 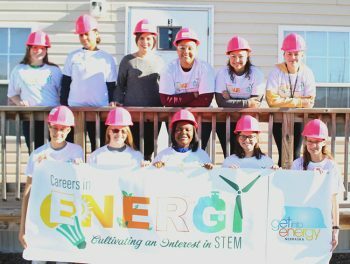 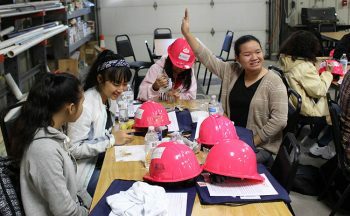 “The goal is to create a greater awareness of career opportunities in the energy industry,” said Joyce Cooper, manager of Diversity and Inclusion at OPPD. 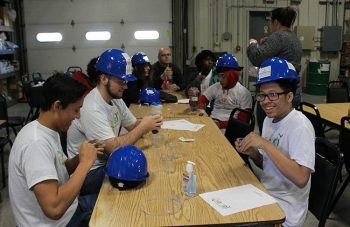 Many of the Legacy I3 students participated in the event. 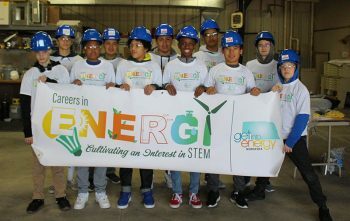 “I realized that energy is a great career to go into, and it’s fulfilling long-term,” said Brandon Micek, a senior at Northwest High School.